What is VA loan: The VA loan, also known as VA mortgage, is a special kind of loans. The term VA stands for Veteran Affairs. Hence, these loans are only given to United States Veterans, members of the military that are currently serving or retired members of the reserved forces and select surviving spouses of personnel who died in line of active duty with the condition that they do not remarry. These loans or mortgages can be used to purchase houses, condos, flats or any real estate for primary residence. VA loans are provided by private, third party lenders but are partly supported by Unites States department of Veteran Affairs. The basic idea behind the VA loans is to provide veterans with an opportunity to easily and comfortably buy homes for themselves with zero down-payment. There are certain limitations of VA loans and certain benefits as well. We will discuss all of these. Certain limitations include such as only given to veterans and eligible personnel. Certain benefits include that they have considerably lower rates than the ordinary or traditional financing by banks. There is no cap on how much you can borrow, but the VA will only guarantee a limited amount according to your entitlement. The VA loans are only meant to be for primary residences. They are not allowed for other properties, secondary residences or vacation homes. 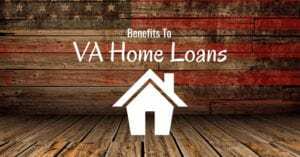 The main purpose or reason to choose VA mortgages and loans is that they make it a little easier to obtain loans and finance by offering as much as no down-payment loans as well as easier terms and conditions which can be met comfortably. Can you Use your Entitlement more than One Time? Yes, it is very much possible in theory to use your entitlements more than one time depending upon several factors such as if you have any entitlement remaining, your mortgage amount and the limits of the county loans. Remember, you don’t have to use all of your entitlements when buying a house. One of the major benefits of the VA loans is that it doesn’t require mortgage insurance unlike other loan or mortgage options where mortgage insurance is a must. 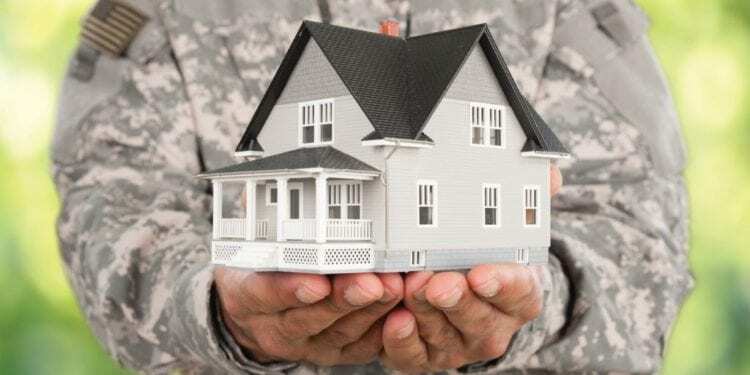 FHA loans and other conventional loans have a requirement of purchasing mortgage insurance that must be filled in order to obtain loans but the VA loans do not have that requirement of purchasing mortgage insurance. This results in saving thousands of dollars over the term of the loan. This benefit translates into a big amount in monthly saving. For example, on a $200,000 FHA insured loan with a 3.5 % down payment paid, it would translate into $100 per month of savings by not paying the mortgage insurance. Another major benefit of a VA loan is entitlements which I have already discussed below in detail. The main desire of the VA loans is to help and provide veterans with the opportunity to become homeowners no matter where they live and how much they have in savings. 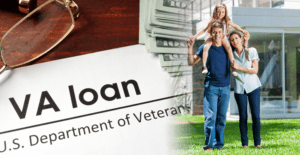 Another major benefit of VA loans is that if the loan borrower can’t pay the payments of the mortgage, the department of VA will negotiate with the lender in question for the borrower to make the terms and conditions a little easier. This doesn’t guarantee anything but it can often result in easier terms that can be fulfilled and are accessible. The Department of VA has financial counsellors that help and assist the borrowers in renegotiating payment plans, loan modifications and updates and how to pay off debts. Basic entitlement is 25% of the total mortgage amount if you default or $36,000, whichever is the lesser of the two amounts. 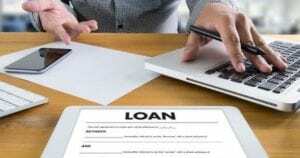 Because of this figure of $36,000, lenders usually give four times this particular amount, hence translating this figure into a total of $144,000 which means that $36,000 automatically becomes 25%. It’s not a must to use the total amount of basic entitlement. Because the prices of houses in the US are continuously increasing every year, a lot of houses have prices higher than $144,000, which makes it higher than the max loan amount that qualifies for basic entitlement. For these purposes, bonus entitlements were introduced. Bonus entitlement becomes a must because as I already mentioned. The prices are increasing every year and a veteran should be able to afford a nice home, right. These bonus entitlements are also known as second-tier entitlements because they come after basic entitlements. A body, known as FHFA (Federal Housing Finance Agency), comes into the equation here. It uses the traditional financing conforming loan limit set by FHFA to set a bonus entitlement amount. The FHFA sets loan limits every year based on certain areas and certain rates in those areas. In 2019, the limit was set to $484,350. The VA is usually meant to cover 25% of the loan amount which translates into $121,087 (25% of $484,350). Now that is a much, much larger amount than basic entitlements. That makes the bonus entitlements resulting in $85,087 ($121,087 – $36,000). Lenders usually loan exactly four times of this amount which makes it $340,350. This is the four times of the bonus entitlement. This translates into a total loan of $484,350, which was the original loan limit genuinely. This $484,350 figure is achieved through adding the four times of bonus entitlements ($340,350) and the four times of basic entitlements ($144,000). Although the amounts will more or less be similar. There are vast differences where the cost is high in some states. The entitlements are hence also much larger. For example, in a state where the limit is $726,525, the VA will pay 25% of the max limit. The requirements for a VA loan are a lot easier than normal loans. The eligibility criteria for a VA loan apply to most of the regular military services, veterans, reservists (members of the reserve services) and National Guard. Spouses of military members that have not remarried and their spouses died while on service or suffered a disability through a service-connection is also welcome to apply. For the active members of the services, they must have served at least 6 months in the services to be able to apply for a VA loan. Members of the National Guard and Reservists have to wait at least 6 years to apply for a VA loan. But they can apply after 181 days if they are called to active duty any time before 6 years. There are other requirements which are vender requirements. These can be about the verification of the income, the FICO credit score, the debt-to-income ratio and other terms and conditions. No, basically there is no minimum credit score for a VA loan but let’s make this clear first. The department of VA does not handle loans; they only pay a certain portion of your loan. Who actually handles and provides loans are the third party lenders. The VA doesn’t require a minimum credit score but these third party lenders mostly do. The minimum credit score requirements vary from lender to lender. So choose carefully when applying for a VA loan because you might fulfill some lender’s requirements but be completely ineligible for another’s requirements. A FICO score along the lines of 600 or more usually is good enough for almost every lender. Can closing costs be included in a VA loan? Although down payments are not required in VA loans. The closing cost is paid by the veteran or the person applying for the loan. The veteran must pay these closing costs via cash or through lender credits to cover up for the closing costs. Closing costs are fees that you must pay when you buy your home, known as the closing of the house. Closing is the point when the property is transferred from seller to buyer. The Closing costs usually include many fees such as application fees, appraisal, attorney fees, escrow fee, home inspection and many more costs. The VA loan limit in Florida as of 2019 is $529,000. How much can I borrow on a VA loan? There is no limit as to how much you can borrow on a VA loan but there are certain conditional limits. One of these limits is that there’s a figure above which you will have to make a down payment. This figure currently is $484,350. Anything above that price, you will have to make a down payment which otherwise isn’t necessary for VA loans. The Department of VA covers 25 % of the loan payments as long as they don’t exceed the limit of $484,350. Anything above that limit, the VA will only cover $121,087. They are some high cost counties which have higher real estate prices and in their cases, these figures will vary. You can borrow amounts much higher than these but that depends on the lenders. Any amount higher than $454,350 that the lenders loan won’t receive a backing by the department of VA higher than $121,087. The first step you have to complete in order to apply for a VA loan is to obtain a VA loan Certificate of Eligibility (COE). Once you have obtained that, you can go ahead and apply. The application process is pretty easy but not all lenders provide VA loans. So the second step after the obtaining the COE is to find a lender that originates VA loans. To find a VA lender, you can do so by browsing through the Department of Veteran Affairs website. There are many lenders so take your time. Research and choose the best option in lenders in terms of prices and terms offered. Before applying for a VA loan, one needs a VA loan Certificate of Eligibility. The VA loan Certificate of Eligibility proves that you are qualified or suitable for the VA loans. If you have served at least 90 consecutive days of active duty during the time of war. If you have served at least 181 days of active service during normal times or peacetime. And If you have been an active member of the National Guard of the Reserves for at least 6 years or more. If you are or were married to a member of the service who died in the line of duty or due to a result of a service-related disability. It must be made clear at this point that a Certificate of Eligibility doesn’t necessarily mean that you have applied or qualified for a mortgage or a loan. They are two entirely distinct processes. The Certificate of Eligibility only ensures that you are eligible for the loans. The rest of the requirements are by lenders which you still have to fulfill such as credit scores, verification, etc. Because the veterans and other members of the service use the taxpayers’ money as the entitlements and their salaries during the course of their duties, there must be some fees that help to set the taxpayers’ costs. While the costs of a VA loan are generally a lot less than other types of traditional mortgage programs and loan options. There’s a one-time funding fee known as the VA loan funding fees. This particular fees depends on the category of the military the borrower is from. If he or she is active or a veteran or a spouse and how much the down payment was. For example, a person who is in the armed forces currently and actively gets a VA loan for the first time. If the concerned person doesn’t provide any down payment whatsoever. He would have to pay 2.15% of the loan amount as a loan funding fee. However, the fee can be lessened to 1.25 % of the total loan amount if the down payment is 10 % or more. Members such as Reservists or National Guard members pay 0.25 % more than active duty members. For people who are using the VA loan program for the second time in their life. They would have to pay 3.3 % of the whole loan amount if they make zero down payments.